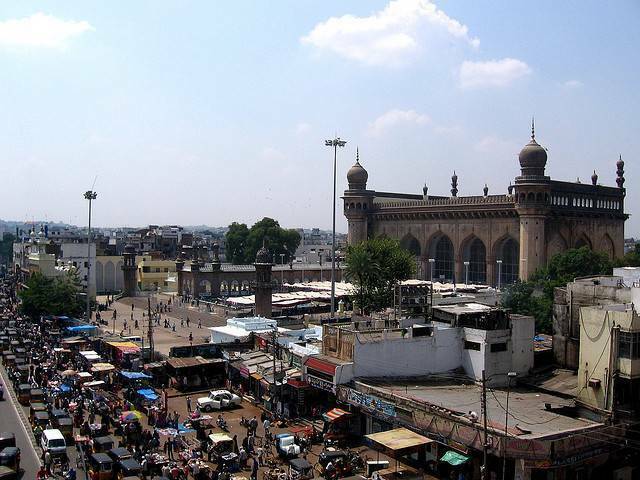 Mecca Masjid, the most renowned place for Muslims is the much oldest and largest Mosque in India. The fifth ruler of Shahi Dynasty, namely Muhammad Quil Qutab Shahi established this mosque. He brought the soil from Mecca, the holy pilgrim center for Muslims and asked to make them into bricks. These bricks were used to build the center arch of the mosque. It is also termed as Makkha Masjid by local people of Hyderabad. The mosque can accommodate nearly 10000 devotees during worship time. The mosque is enlisted as a “Heritage Building”. One of the courtyard rooms is believed to have a hair strand of Islamic Prophet Muhammed. There are nearly 15 arches which behold the main roof.